Marijuana contains at least 60 known chemicals called cannabinoids, which activate cannabinoid receptors in your body. Tetrahydrocannabinol, or THC, is the main component responsible for the psychoactive effects, or “high,” marijuana is known for. While THC is known to have some medicinal value, there has been recent investigation into a new cannabinoid that is rumored to have more medicinal benefits than any single pharmaceutical drug on the market. 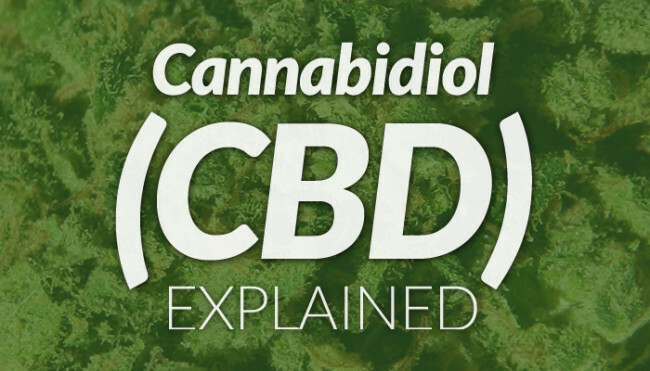 This cannabinoid is known as Cannabidiol (CBD), and is the second most abundant cannabinoid in cannabis. Research done by G.W. Pharmaceuticals suggests that CBD could be used for treating symptoms of rheumatoid arthritis and other autoimmune diseases, diabetes, nausea, bowel disorders, and many other hard-to-control side effects. According to an article from Projectcbd.com, CBD has even demonstrated neuroprotective effects, and its anti-cancer potential is currently being explored. Cannabidiol is even known to counteract some of the effects of THC like the “munchies.” Just as THC increases our appetite, CBD suppresses it, which could be ideal for patients watching their figure. CBD just might be a key ingredient in a future weight loss drug, who knows? There is one exception to the theory that CBD suppresses appetite, but it is a blessing as well. Many people who have difficulty eating due to their stress or anxiety can use CBD to get rid of that sick feeling in their chest or stomach, allowing them to eat again once their anxiety subsides. Cannabidiol is what gives cannabis its’ sedative effect, and has been known to ease a number of symptoms from difficult conditions. There has actually been a substantial amount of experiments done on cannabidiol that has proved its healing powers. Dr. Sean McAllister, a scientist from the Pacific Medical Center in San Francisco, made an astounding discovery about CBD. McAllister has been studying cannabinoid compounds for 10 years now in search of new therapeutic interventions for various cancers. He discovered that cannabidiol is a potent inhibitor of cancer cell proliferation, metastasis, and tumor growth. Results of his experiments on breast cancer show that the number of cancer cells diminished as more CBD was applied. Essentially, CBD may be a generally effective way to switch off the cancer-causing gene, providing patients with a non-toxic therapy to treat aggressive forms of cancer. Raphael Mechoulam of the Hebrew University, Jerusalem, and Faculty of Medicine has been studying cannabinoids for almost 50 years. Mechoulam gave a talk on cannabidiol on the 45th year of involvement in the field in which he spoke about a number of experiments being done on cannabidiol. He described an experiment that was done in Brazil in which a 200mg/day dosage of CBD was added to the anticonvulsants epilepsy patients were currently taking. Over the course of several months only 1 of the 7 patients showed no improvement; three became seizure-free; one experienced only one or two seizures, and two experienced reduced severity and occurrence of seizures. A colleague of Mechoulam’s, Marc Feldman at Imperial College, London, tested CBD on mice that had a version of rheumatoid arthritis and found that it reduced inflammation by 50% at the right dosage. Cardiologists working with mice at the Hebrew University have found that a dosage of CBD immediately following a heart attack can reduce infarct size by about 66%. Probably one of the most notable studies conducted by Mechoulam was on mice bred to have a version of type-1 diabetes. The diabetes manifests around 14 weeks so the mice were treated for the first 7 weeks of their life, then again in another 7 weeks. He concluded that only 30% had developed diabetes compared to the 90-100% given the placebo. He then repeated the experiment where the CBD wasn’t introduced until 14 weeks when the diabetes first developed. They were then tested at 24 weeks of age and again only 30% of the treated mice were found to have diabetes. “CBD did not just prevent onset, it blocked the development of diabetes.” - Mechoulam says. Since CBD is a function of an increase in temperature, cannabis is heat activated in the testing process to get measurements. CBD typically shows up under, or around 1% in most strains. Since most strains have this low percentage it is sometimes hard to find a CBD-rich plant with low THC percentages as to avoid the ‘high’. However, that doesn’t mean that these CBD-rich strains don’t exist. “Cannatonic” is one known popular CBD-rich strain which is known to contain 6.5% CBD by weight, and the same amount of THC, making for one of the most medicinal strains out there. Harlequin, Jamaican Lion and Omrita Rx3 have been tested several times by several labs and are in the neighborhood of 8-9% CBD and 5.5-6% THC —about a 3:2 ratio. Hi, having already bought some oil for my RHeumatoid disease, I am reluctant to rise to more than a grain of rice size dose because of the big psycho. Effects within about half an hour of swallowing. I really find the effect scary and unpleasant. this also means Im reluctant to take it in daytime. any suggestions what I can do or what a good dosing solution would be either by strain or by quantity in the dose?